This pair of elegant and quality turquoise earrings is truly one of a kind. 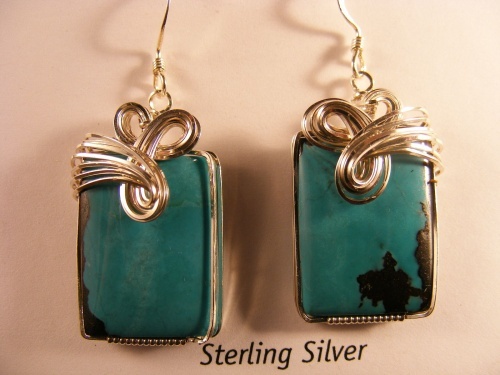 Sculpted in sterling silver curls the turquoise is one of the best specimens of turquoise ive seen. One of a kind beauties.